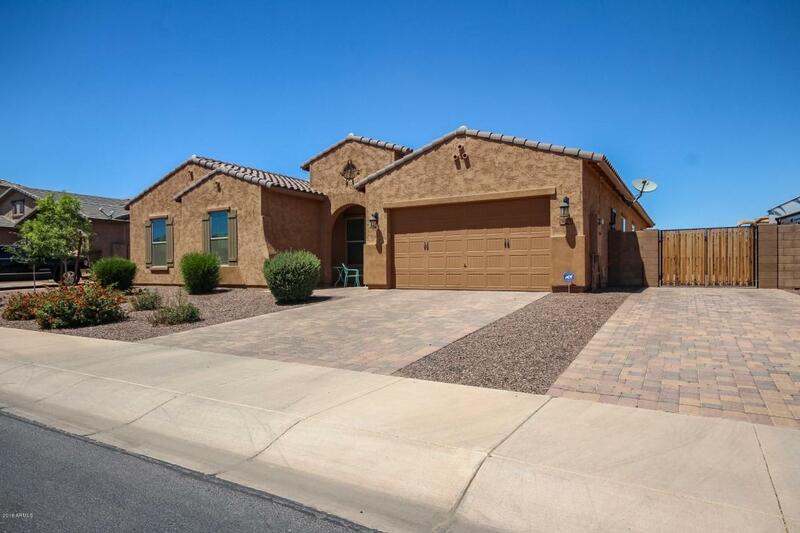 BACK ON MARKET: SHASTA Model built in 2014 - 3308sqft! Why wait for new build? 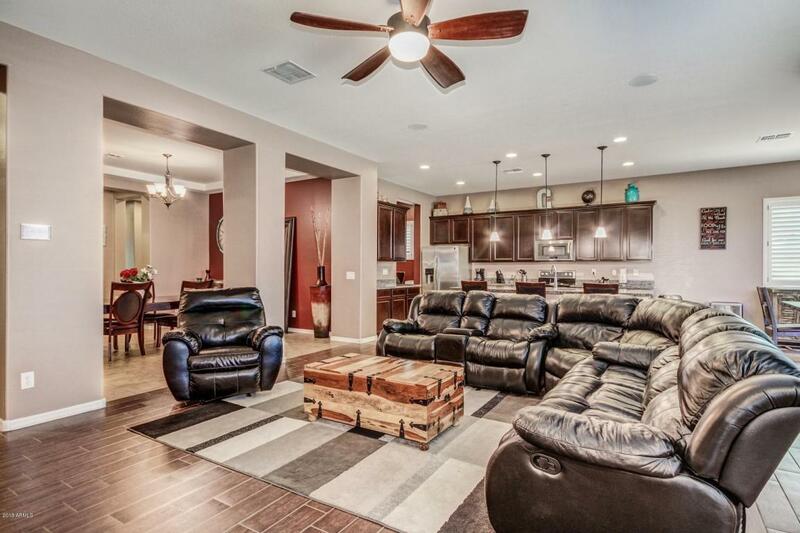 Home has a separate DEN and EXERCISE ROOM/HOBBY ROOM Plus RV PAD & GATE! 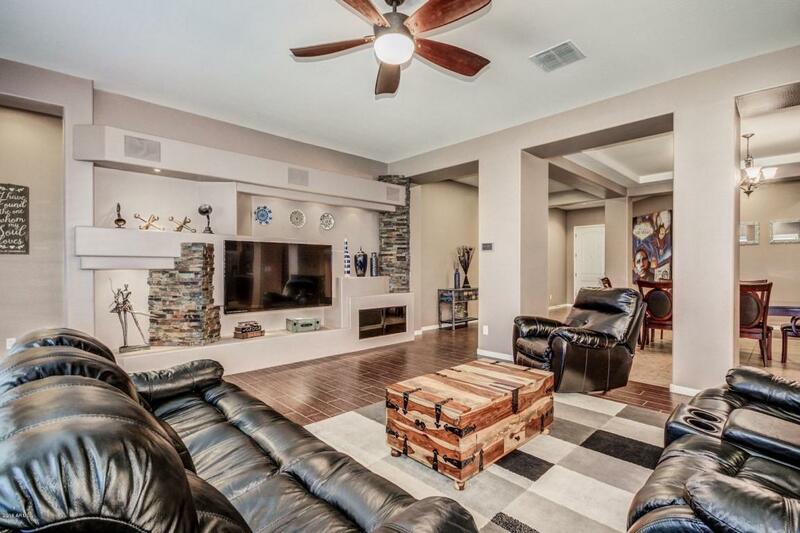 Grassy rear yard includes Sport Court, Pergola, Built-In BBQ & Fire pit - ALL custom additions! 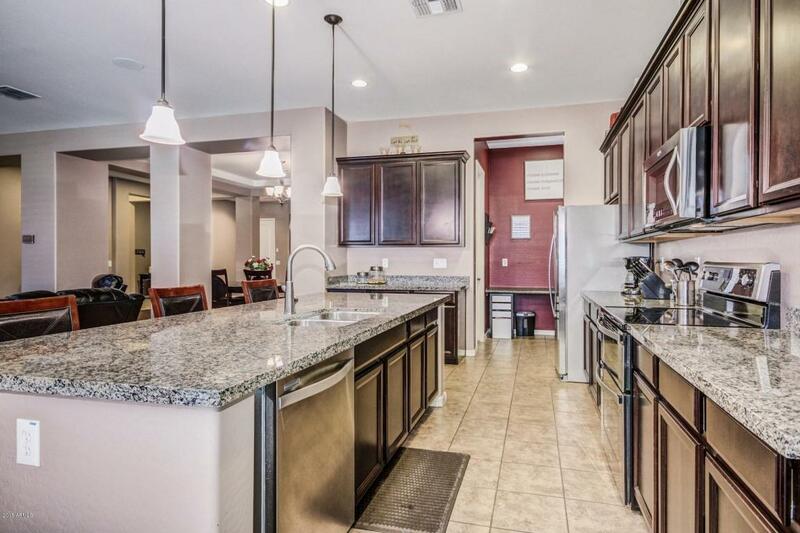 Kitchen is a JOY w/HUGE Kitchen Island, Granite Cntrtps, Stainless Steel Appliances, Pendant Lights, Walk-In Pantry and Pocket Office adjacent to Kitchen. Flooring is Tile & Tile Plank and Carpet. Shuttered windows throughout, offering extra absorption and a cool finished design to this Open Concept Home. Separate and spacious eat-in Kitchen; additionally a full-separate formal dining area that opens to Great Room. Custom-designed stacked-stone trim align focus wall in Great Rm w/custom lighting. Bonus Room @other split BR area! Don't Wait! !